Secure your browsing with a lightweight privacy solution. With the NordVPN extension, you can surf the web truly privately. Nobody, including cyber criminals and annoying advertisers, can see what you are doing online. Changing your virtual location is as easy as pie. It takes just one click to hide your IP address and avoid snooping of any kind. The NordVPN network in 60 countries all around the world give you consistent speed when streaming or downloading files – wherever you are. Browse your favorite sites securely, even if they are not protected by HTTPS. The NordVPN extension will encrypt your entire Firefox traffic. The CyberSec security feature blocks suspicious websites and guards you against other cyber threats. The NordVPN extension comes with extra protection from IP leaks to make sure that your sensitive data never gets exposed. The extension encrypts only the traffic on your Firefox browser, so you can still use your real IP address on the rest of your device. The Firefox extension is so light and fast, you can switch from one location to another in the wink of an eye. 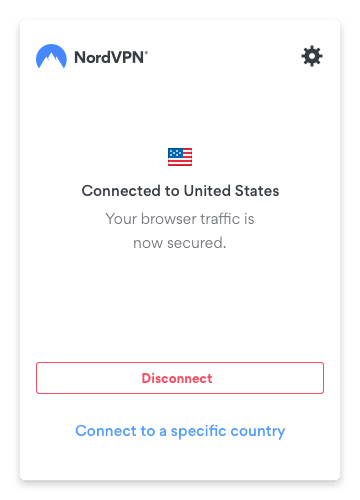 You can use NordVPN for Firefox on your Windows, Mac or Android device. On top of that, NordVPN allows up to 6 connections at the same time.